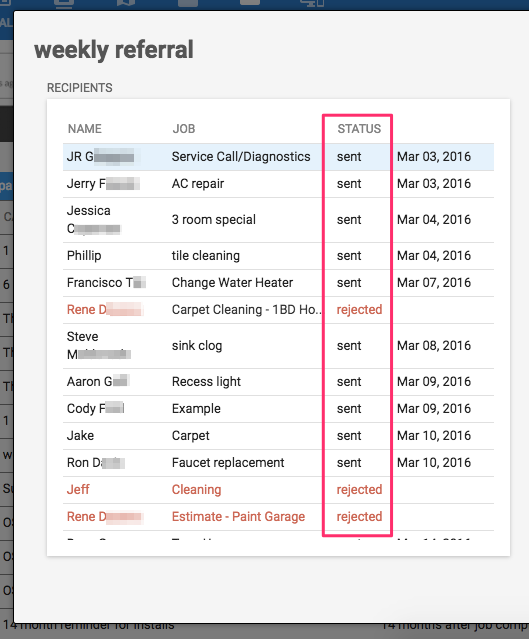 How do I track which automated emails have gone out to my customer? Your email campaigns are created and live. Now, you want to keep track of who has been sent an email. 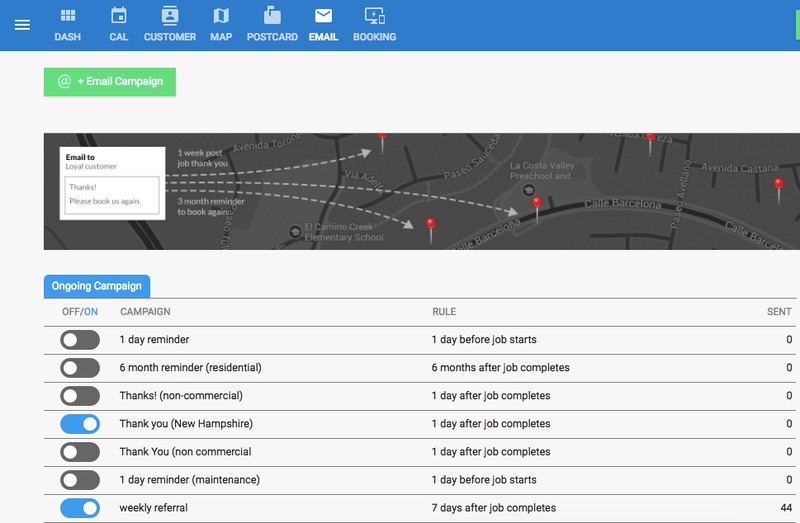 Click on the 'EMAIL' icon at the top of your screen to view your email campaigns. You'll see a list of the campaigns you've created. A rejected status usually means that the address is not properly entered into the customer's profile. Go the customer's profile and double check that the email address is correct.